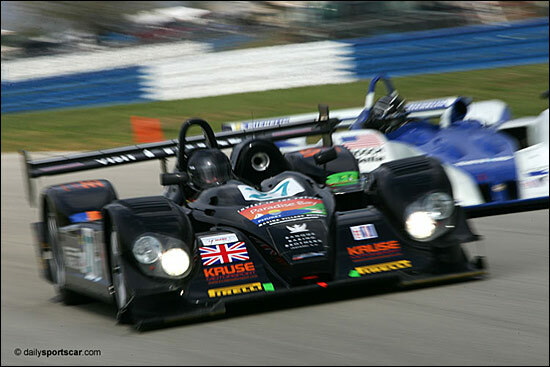 Kruse Motorsport got off to a flying start in 2005, leading the LMP2 class at Sebring for nine hours, before a completely unexpected engine failure. The team isn’t at Sebring next week with its Courage C65, and didn’t submit a full season Le Mans Series entry application – but is expecting to be on the grid at four of the five LMS races this year, and is hoping for a second chance at the Le Mans 24 Hours, after a fourth place finish in LMP2 last year. Joining Kruse for the 2006 season are the German speaking drivers Jan Dirk Lüders and Jens Petersen. These two raced the JP Motorsport Porsche in the Le Mans Series last year, and now step up to the LMP2 Class. The team is currently in negotiations with a number of additional drivers to provide a strong, three-man line up. Winter development of the C65 has focused on electrics, suspension and shock absorbers: Bilstein has built new dampers for the car, saving more than 50% in weight compared to those fitted last year. The team has also switched to Dunlop rubber for 2006. The team's first appearance this year will be at the LMS test days at Paul Ricard (March 26-27).